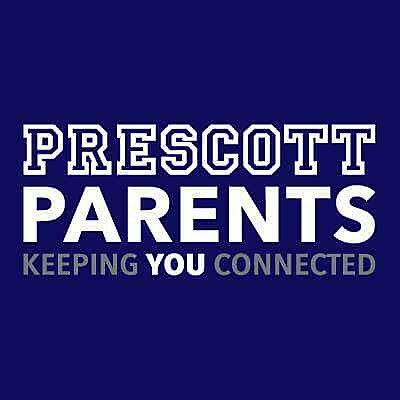 As Prescott Parents, we can all make a difference. In the fall of 2010, the city of Chicago named several schools that were set to be permanently closed or restructured. Prescott Elementary was on that list. Despite what appeared to be a lost cause, parents fought hard to keep the school open. In a powerful display of solidarity, hundreds of people crammed into the cafeteria to speak in support of Prescott. Outside, parents desperately pled their case to news reporters in the parking lot. And then, to everyone’s surprise, Prescott was suddenly removed from the list of schools to be closed. The parents’ voices had been heard. Their tireless efforts had paid off. Their battle had been won. Prescott had survived. At the time, however, it was not even among the top 250 public elementary schools in the city, according to a list compiled by Chicago Magazine. Just six years later, it was ranked 14th (top 3% of all CPS elementary schools) by the same source. During the 2014-15 school year, CPS began using a new rating system. Prescott’s 1+ classification is the highest of the five tiers. The reason for these accolades is that Prescott is thriving. Enrollment – once so low, it was cited as a main contributor to the city’s decision to nearly close the school – continues to grow. Student population more than doubled between 2010 and 2018. Academic performance, meanwhile, continues to improve. In 2014-15, Prescott scored in the top 7% nationally in Reading and Math achievement on the NWEA-MAP assessment. The percentage of students meeting or exceeding expectations on the PARCC assessments has risen dramatically from 2016-2018 (an increase from 56% to 72% in English Language Arts and from 46% to 54% in Mathematics). In recent years, Prescott has routinely been in the top 10% of the country in NWEA math and reading growth. A lot of Prescott’s success is directly attributable to the school’s impressive teaching staff. There are currently eight National Board Certified Teachers at the school and 80% of the faculty holds a masters degree. All of these achievements should not make us complacent. A lot of effort was required for Prescott to rise to where it is today. And now, as other schools continue to improve, we must work even harder to maintain our status among the city’s best. Join a committee – Though it may seem like everything runs smoothly behind the scenes, Prescott Parents can always use more help. And parents who have worked so hard to make the school what it is today will move on as their children advance to high school. That void needs to be filled. Donate money – Funds are needed to accommodate a growing student population and provide pupils with increased access to technology. There is a button on this site’s home page that allows us to make a financial contribution to the school. Remain engaged with your child(ren) – Use this website to keep up with the latest announcements and view upcoming events. Talk to your kids about school. Ask what they’re learning. Be an active participant in their lives. Please send an email to prescottschoolchicago@gmail.com to help build on our school’s success.